15.5 GB download size Too large to download? Choose hard drive delivery at checkout. After the success of Albion I & II, we decided to blow the bloody doors off with Albion III! Your speakers will never be the same again. Recorded at Lyndhurst Hall, Air Studios, our aim was to make ALBION III the most earth-shattering set of low-end delights. 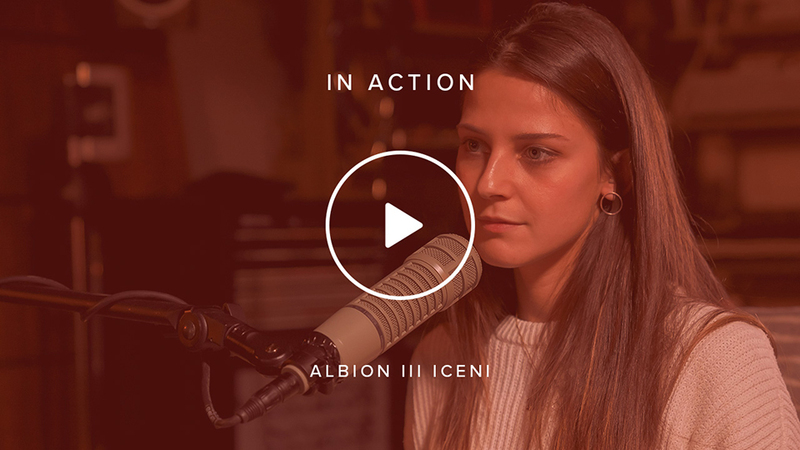 Albion has found favour the world over, whether it be as a one-stop-shop for media composers, or as a starter pack for students wanting to break into media music. Albion is designed to fit perfectly with our Symphonic and Definitive ranges. 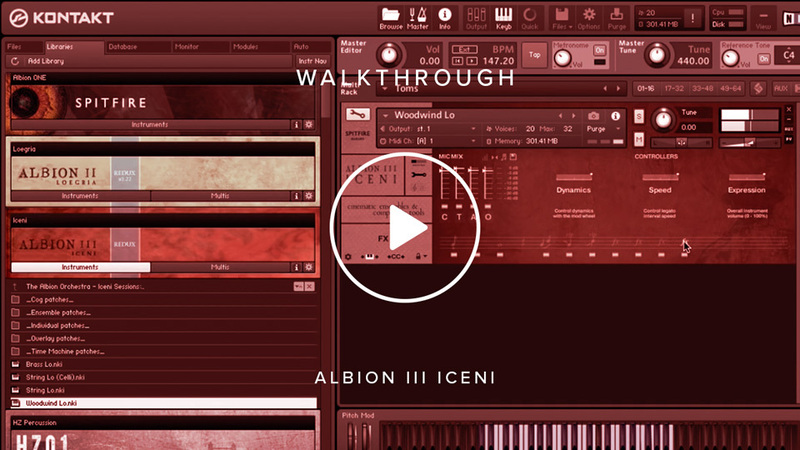 Albion III: Iceni is designed for composers and music makers wanting to make enormous, brooding low-end, apocalyptic sounds, simulating dystopian futures or the fury of a bloody battlefield. Ideal for blockbuster-style scores, games music and epic rock, pop and electronic music, this library is one of a kind. Featuring over 300 fat, grimy, epic, mangled loops by exciting emerging UK-based producer-programmer-composers, including The Flight (Lana Del Rey, Rufus Wainwright, Skye, Jess Mills, Bjork), Stanley Gabriel (Kate Bush, Ladyhawke, Little Boots) and Christian Henson (Spy Game, Narnia, Top Gear, Black Death, Devil's Double). All new recordings to add to this thunderous series. The largest and lowest set of drums available for use in London, including rare British marching toms. Played by the leader and members of the Olympic opening ceremony's drum corps. Derived from the orchestral sessions, combined with filthy analogue gear from the 60s and 70s (including processors owned and used by Jimi Hendrix), Stephenson's III is the lowest selection of "synth" patches in the range. Ideal for room shuddering full-bandwidth bass with contemporary vowel and notch filters for the ultimate in orchestral power. Strings: 0, 0, 0, 24, 8 Yes.... no violins, no violas, but 24 celli and 8 basses. Recorded both tutti and in two Celli sections, with the Celli split into two on either side of the room, and the Basses in the middle. It simply has to be heard to be believed. Where Albion I was a set of broad cinematic aerosol cans, and Albion II: Loegria a finer set of detailed sable brushes, Albion III Iceni is a cricket bat, a large trunk to bludgeon to death any track or cue it comes near. Our most expensive, commercial venture to date was recorded to tape via the rarest set of valve and ribbon mics in the Hall at Air Lyndhurst, one of the greatest recording studios in the world, where scores have been recorded for Batman Returns, Gladiator, Bourne Ultimatum, Harry Potter and The Hunger Games. This orchestral toolset is primitively simple and effective — longs, legatos, shorts, with mind-boggling FX in the brass and woods. Designed for anyone to use, regardless of experience or understanding of orchestral disciplines, and scalable on a variety of systems, whether you're writing trailers, computer games, TV or film drama or need the new tool for the next generation of Dubstep, Breakbeat, Drum & Bass or Grime. In addition to the orchestra, there is also a host of compositional tools and accompaniments curated by our award-winning team of composers and producers.